All art has been uniquely created by RACHEL IGNOTOFSKY and is available for personal use only! The artwork CAN NOT be used for commercial use or be resold/redistributed by any means or profit in any way without written permission and licensing! 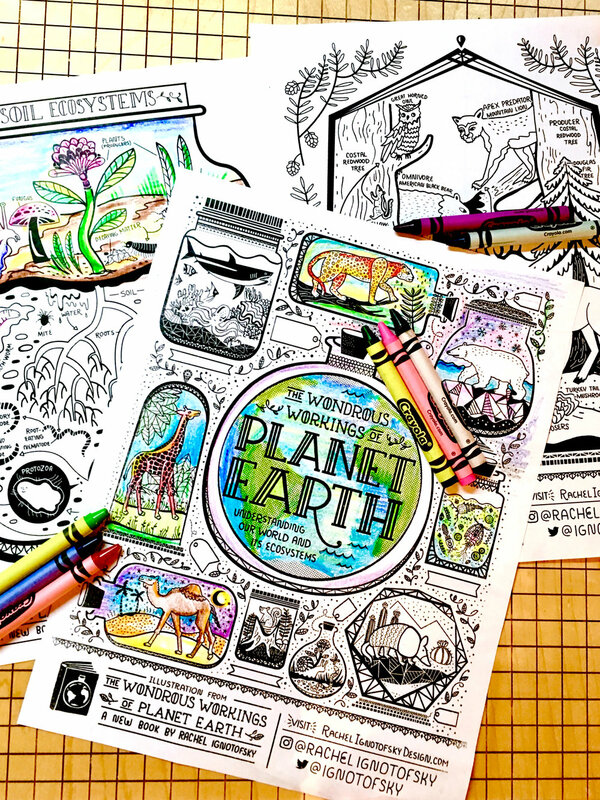 To celebrate the release of The Wondrous Workings of Planet Earth we are giving away downloadable coloring pages featuring the black and white versions of illustrations from the book! Say proudly that you vote to protect our planet, end climate change, and preserve our Earth’s natural resources! Step 1: print on sticker paper. 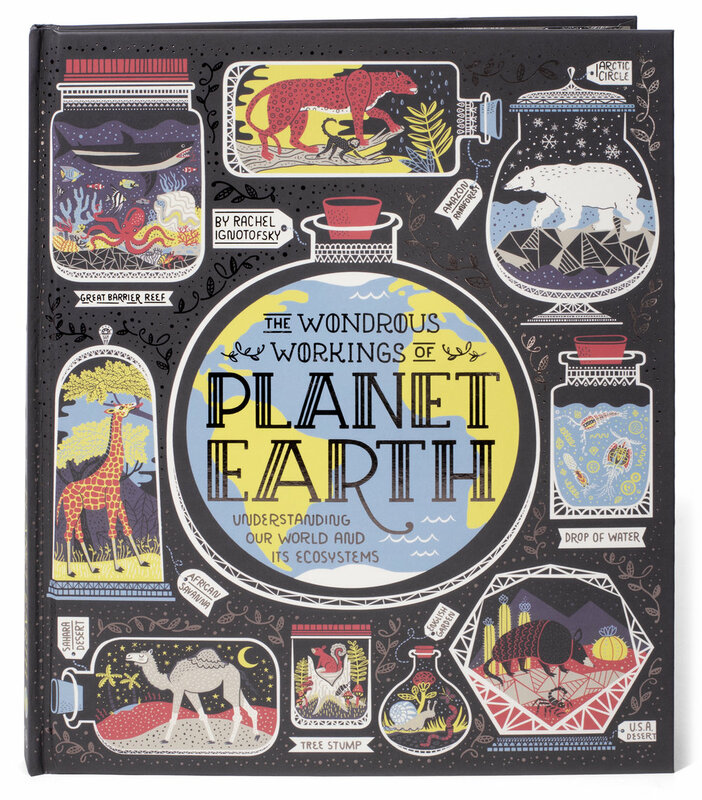 To celebrate the release of The Wondrous Workings of Planet Earth we are giving away downloadable desktop background featuring the endpapers from the book! To celebrate the release of Women In Sports we are giving away a free downloadable desktop background featuring the endpapers from the book! Free Download: March For Science. On April 22 2017 scientist and concerned citizens will march all over the country to defend the vital role science plays in our health, safety, economies, and governments. I am providing a 20 inch free poster to help raise your voice and fight for evidence based policies. "People who value science have remained silent for far too long in the face of policies that ignore scientific evidence and endanger both human life and the future of our world. New policies threaten to further restrict scientists’ ability to research and communicate their findings. We face a possible future where people not only ignore scientific evidence, but seek to eliminate it entirely. Staying silent is a luxury that we can no longer afford. We must stand together and support science." To celebrate the release of I Love Science we are giving away a free downloadable desktop background featuring the endpapers from the book! On Jan 21st millions of people around the world marched for women's rights. Some people even downloaded this poster to help raise their voice. Now I would like to use this image again to raise money for charity. Women's rights are Human Rights. Each time you purchase I will donate $20 to the ACLU to help fight for human rights and defend the constitution.